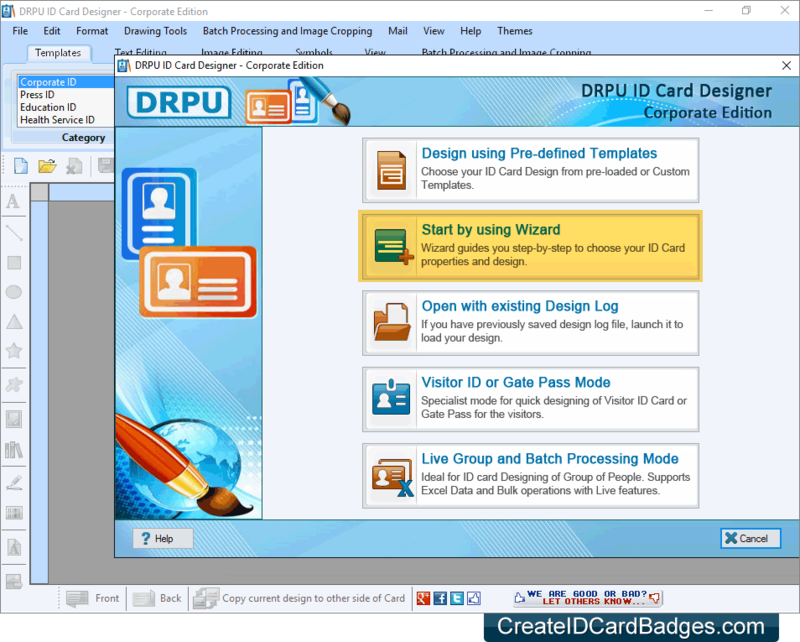 Software has five modules to design ID card. Select any one module as we have selected 'Start by using Wizard' for demonstration. 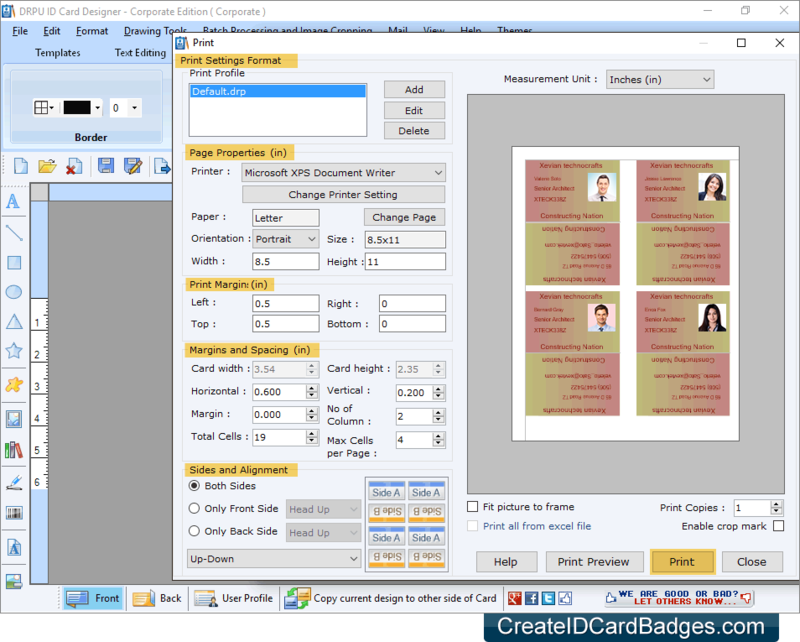 Specify card information, card shape, card size and go to next screen by clicking on 'Next' button. 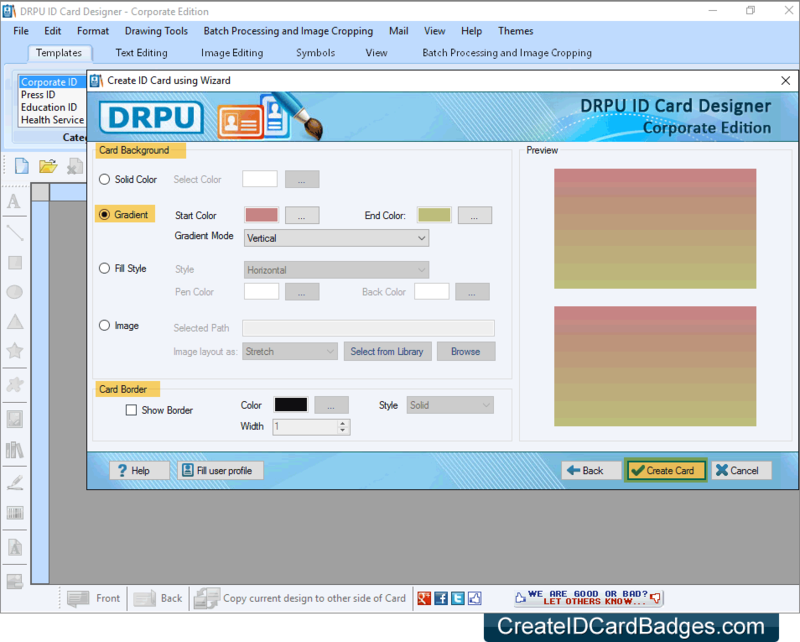 Select card background according to your choice and click on 'Create Card' button. 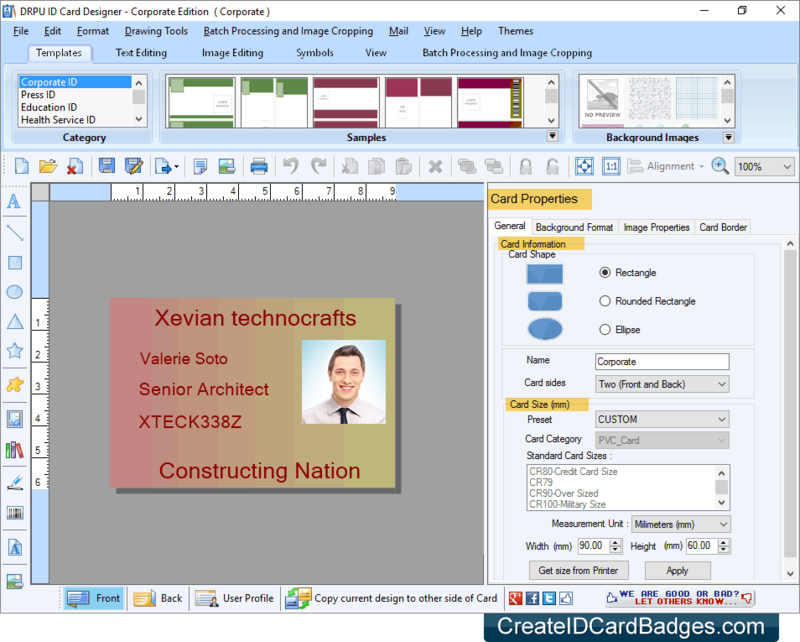 Design ID Card as you want by using various card designing objects such as Text, Line, Rectangle, Symbols, Browse Image, Image Library, Signature, Barcode, Watermark, Star etc. 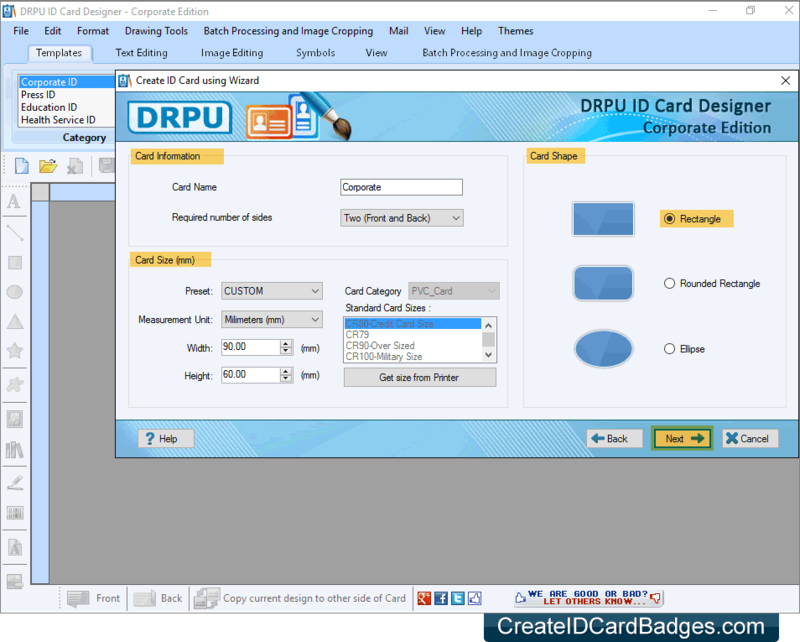 To print designed ID Cards, set print settings including Page Properties, Print Margin, Margins and Spacing, Sides and Alignment and click on Print button.